The late Marj Dwyer who put together a team from members of the Women’s Royal Australian Air Corps founded the Wingers Softball Club in 1948. From this connection, our current logo evolved. For a number of years Wingers fielded one very strong team, many of the members played for Victoria and Australia. In 1950, after seeing Wingers on its way, Marj then branched out into umpiring and gained worldwide recognition for her ability as a lecturer and interpreter of the rules. But Marj was always ‘there’ for Wingers. By 1969, Wingers gained enough players to field two teams and kept growing. During the 70’s Wingers’ membership grew to such an extent that they were able to field five open teams as well as a number of junior teams. Members of Wingers Softball Club have volunteered their services to Melbourne, Victorian and Australian Associations and Wingers players have been predominant in Melbourne Representative Teams over the past two decades. The clubs aim, with your help, will continue its efforts to maintain the excellent sporting tradition set by Marj Dwyer. 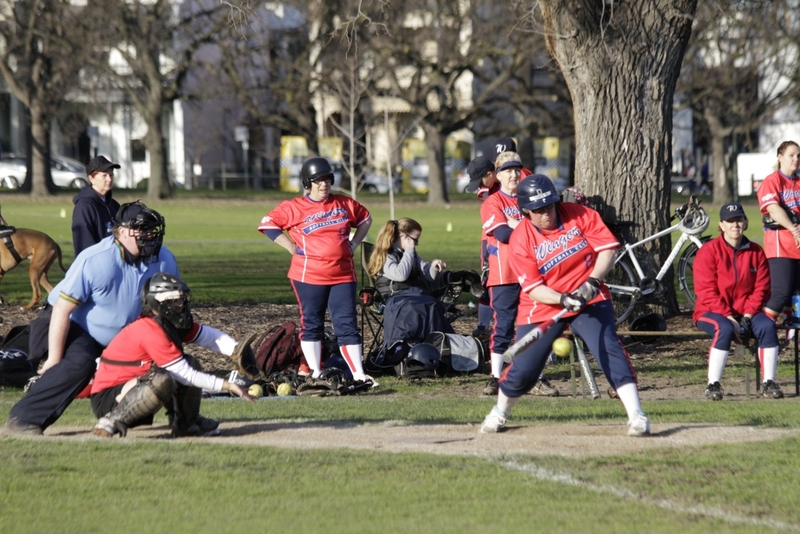 Melbourne Softball Association acknowledges the Boonwurrung people of the Kulin Nation as traditional custodian of the land on which we gather and pay our respects to their Elders, past and present.